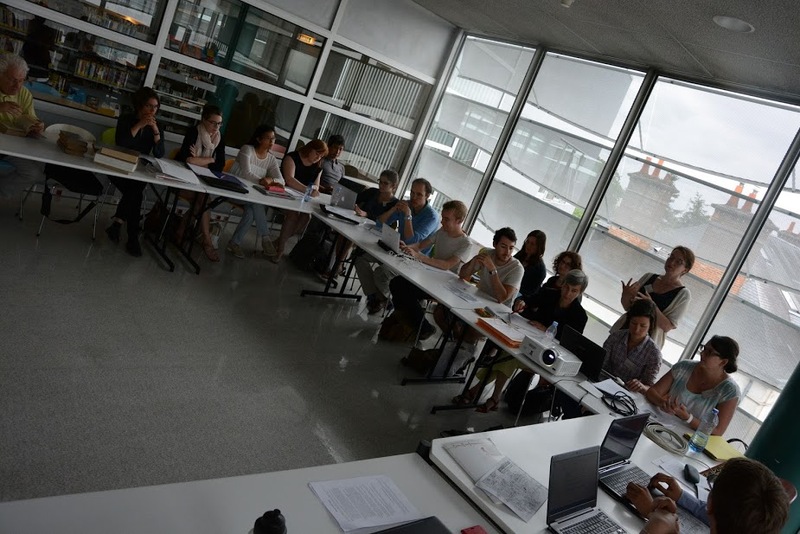 A summer course on "Incunabula, from Gutenberg's Invention to the Digital Revolution" took place in Orléans from 7th to 11th July 2015. 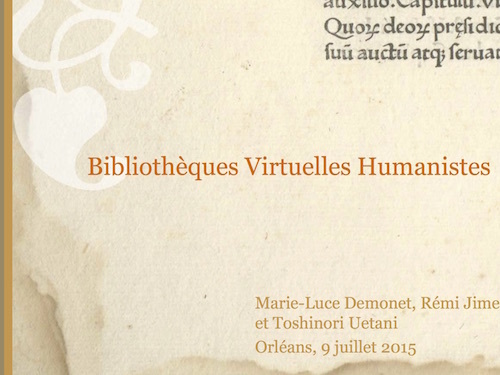 Organised by the Médiathèques d’Orléans, the CESR and the "Bibliothèques Virtuelles Humanistes" team, the course was offered as part of the project to digitise the "Catalogues régionaux des incunables" for the Centre-Ouest region (CRIICO), with the support of Biblissima. 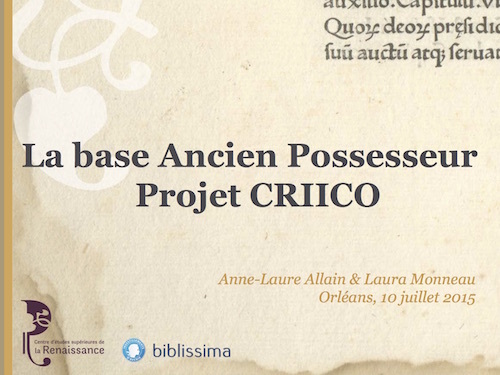 Presentation given by Anne-Laure Allain and Laura Monneau at the Biblissima summer course "Incunabula: from Gutenberg's Invention to the Digital Revolution" (Orléans, 7-11 July 2015). 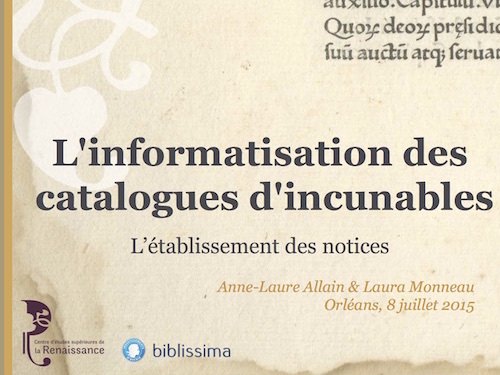 Presentation given by Marie-Luce Demonet, Rémi Jimenes and Toshinori Uetani at the Biblissima summer course "Incunabula: from Gutenberg's Invention to the Digital Revolution" (Orléans, 7-11 juillet 2015). 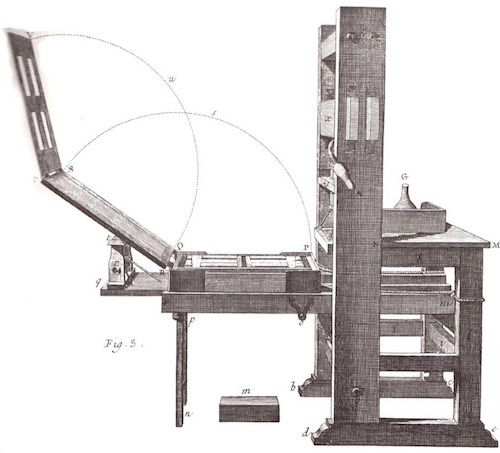 Documentation and illustrations for the Biblissima summer course "Incunabula: from Gutenberg's Invention to the Digital Revolution" (Orléans, 7-11 July 2015).